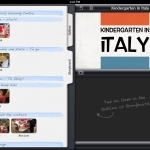 iPad Art Room » iMovie: 3 easy ways to make movies. Really easy. iMovie: 3 easy ways to make movies. Really easy. Note to teachers: iMovie makes creating short films easy! iMove is a powerful creative tool for teaching and learning. You can use it for a myriad of applications, such as digital storytelling, narrative, documenting experiences, reflecting on learning…and so much more. If you have never used film making apps before, it can be difficult to know where to start. Some teachers have been scared off filming in the past, as software was generally expensive and relied on some very specific technical skills for success. The important thing is to give this new, simple and creative medium a go – you’ll see that on iPad, movie making is entirely accessible. iMovie has some great features that will have you producing your own work in a few minutes, and a paired-down interface means you only have the most useful tools presented. There is one warning, though – making movies can be addictive! There are plenty of great ‘how to’ guides for iMovie. This is not one of them. What I want to show you here are the three kinds of movies you can easily start making in you classroom. And to convince you to give it a go! Before we get going, if you want some ideas and examples of iMovie in the classroom for teaching and learning, check out this post which gives you 13 great ideas, tutorials and lots of resources, or check out iMovies as lesson starters to hook students into learning. iMovie can generate TRAILERS, short story-style clips of about one minute, and they can be used in a variety of ways. Simply choose a movie theme, like romance, action, etc. from the list and watch a preview of the genre. The clip comes complete with titles, imagery, music…everything but your photos and video. Drop and drag you visuals, use your own words where you want to. iMovie does the rest. There are some fantastic opportunities for learning here – check out this post on iMovie trailers to find out more. iMovie has THEMES that add pizzaz to your clips. All you do is create your movie, then select a theme. Borders, fonts for text captions – everything appears for you so all you need to do is personalise it. 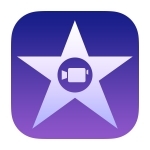 Simple movies are quickly made on the iMovie app. Use your camera roll photographs and movies and just drag and drop in any combination. It really is that easy. Even easier…if you put them in using the right order, you could leave it at that. iMovie has already added transitions and stitched your movie together! Think you can handle a little more? When you select your clips from the camera roll, you can preview them. If they are too long you can select the section you want – it’s powerful editing but super simple because you can do it before you drop it in the film. Once you’ve got the film together, you can add music with a touch – now you’re on the road to a great clip. Just export it to your camera roll if you want a personal copy, or upload elsewhere to go further. This iMovie was created by simply dropping photos and clips from the camera roll. Titles and music were also added. ONE LAST RESOURCE: This article has an excellent Slideshare you can use with students to unpack some of the updated iMovie features. Want more inspiration? Check out these amazing films made using iPhones. So impressed by some movies I have seen – now I know how easy they were to make I can’t wait! Why has it taken me this long to realise? Great post – clear and to the point for wary teachers. Hat tip. Hey dude. I’m 14 years old. In my freetime I make reeeeaaaly cool skate videos.. ONLY WITH MY IPAD MINI!!! Thanks for your vids, they are helpful. Greetings from Germany.